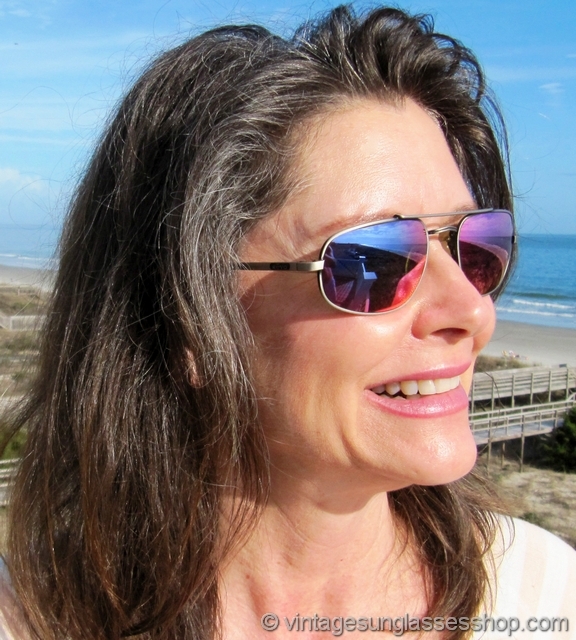 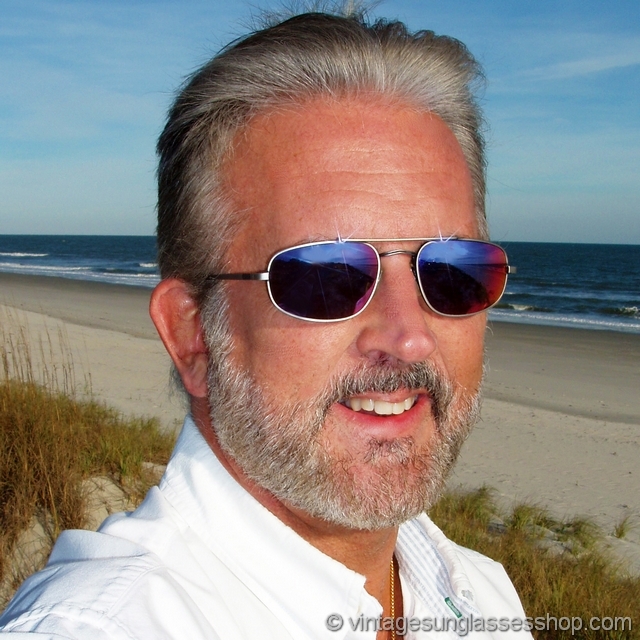 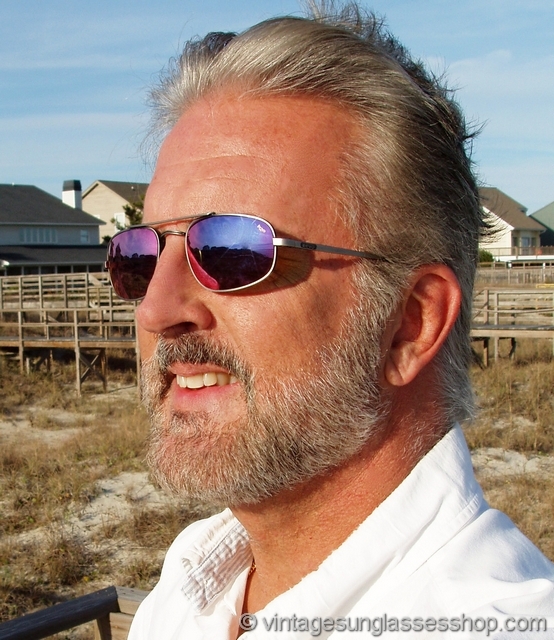 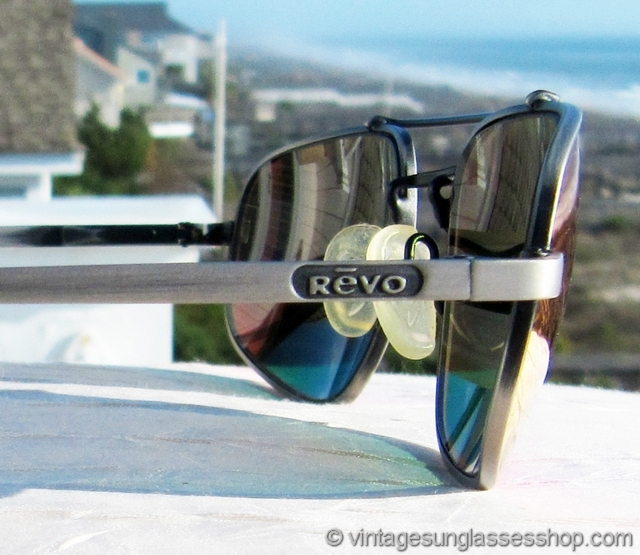 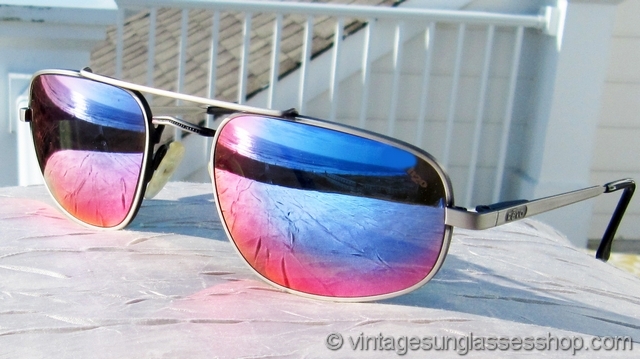 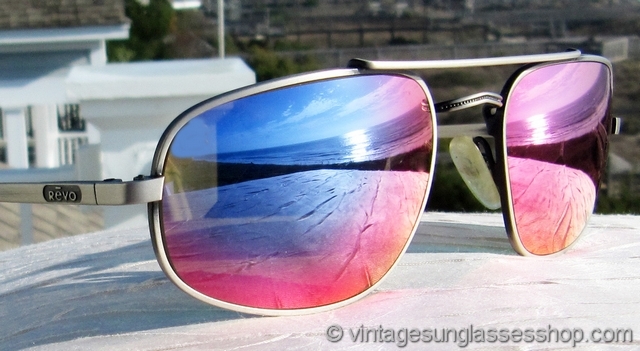 1 Vintage Revo 1108 011 Metal Wrap sunglasses feature a subtle wrap design and Revo's top of the line stealth mirror H20 polarized lenses set in a silver gunmetal aviator style frame. 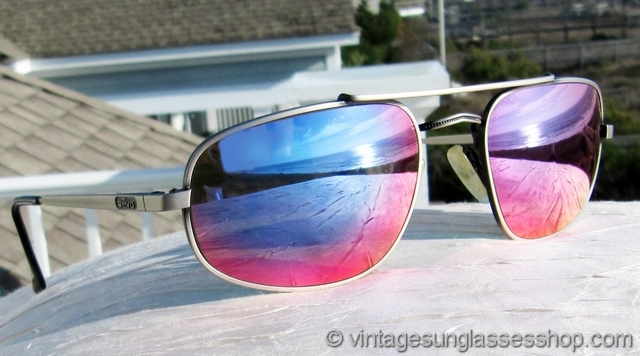 When Revo stealth mirror lens are done in polarized H20, they pick up additional hues of rose and purple colors which make the highly reflective mirror properties of the lenses even more impressive. 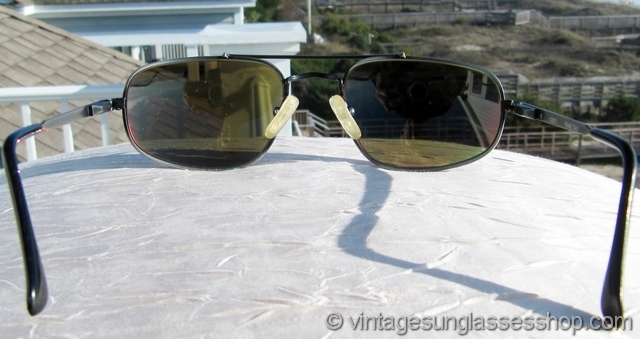 This is one of Revo's most popular vintage styles of aviator sunglasses, and the double nose bridge is reminiscent of classic B&L Ray-Ban aviator sunglasses styles but with a lot more design flair. 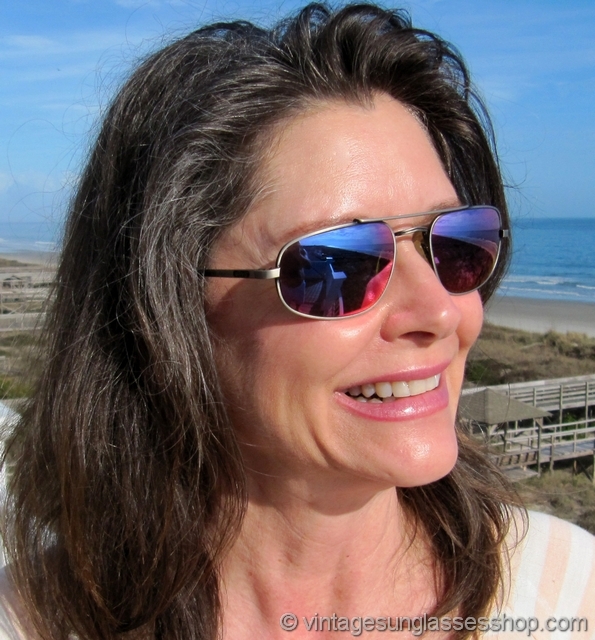 The unisex Revo 1108 frame measures approximately 5.5" temple to temple and the stealth mirror lenses measure approximately 2.125" x 1.5" at the widest points. 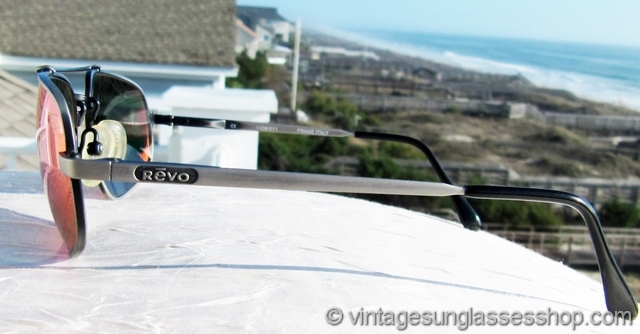 You'll find the Revo logo impressed in the metal on each ear stem near the spring loaded hinges and the inside of the stem is marked CE 1108/011 Frame Italy, part of an estate collection of fine vintage eyewear in Baltimore, MD. 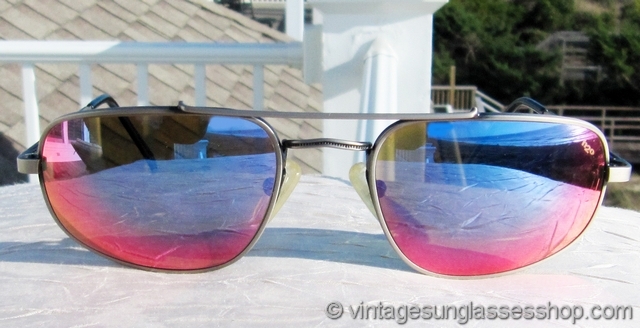 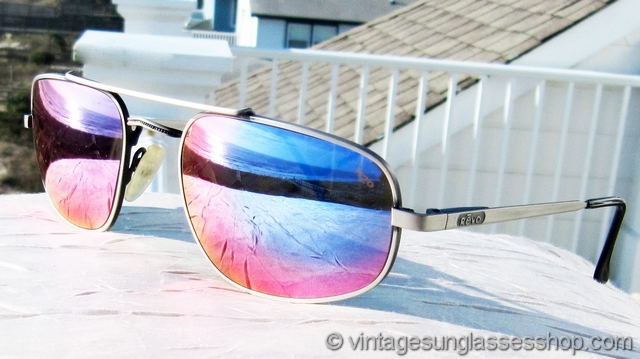 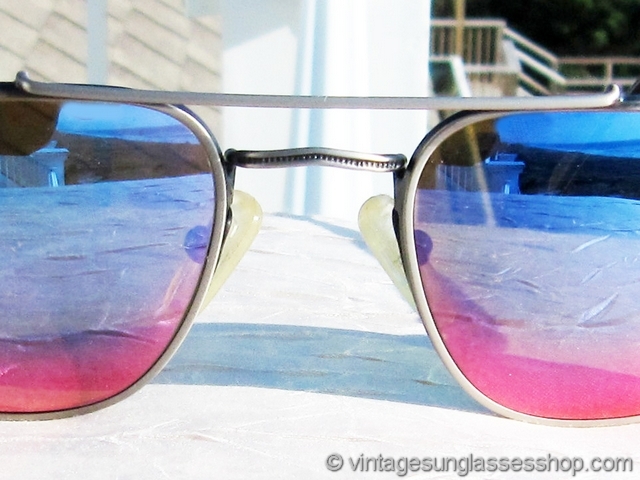 2 Step up another level beyond our already unequaled vintage condition standards with new old stock Revo 1108 011 Metal Wrap stealth mirror h20 sunglasses in mint, unworn condition.